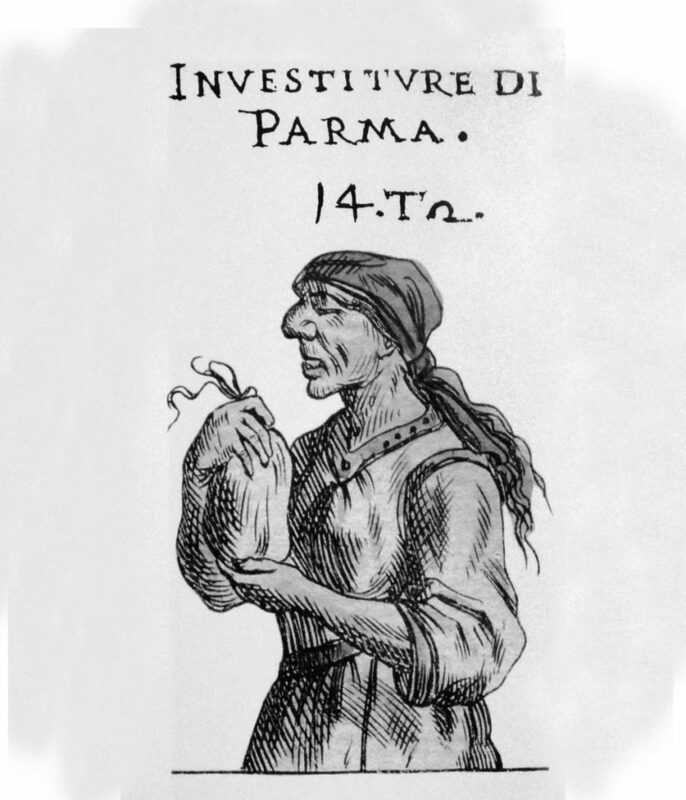 GIUSEPPE MARIA MITELLI, Investiture di Parma, engraving, 17th century. Borog dal Römel (via Ronchini) led into Borgo del Salame (today via Zaccagni, next to the Church of S. Maria della Steccata). Here were found the pork and cured meats workshops that gave their name to Borgo Bondiola (today via A. Mazza); the street also housed an old tavern of the same name, which in Parmesan dialect means cured pork shoulder. The proximity of the slaughterhouse was an asset to the pork meats workshops.